What are your 5 favorite thrifts? I was looking through my collection and submissions to the thrift list and reflecting on what little success I've had. I was wondering what everyone else gets to reflect on. List your top 5 favorite list. Up to you what qualifies as your favorite. Give a little detail or story if you wish. Use you top 1 as the game you post. Let's stay away from clearance at Target, B&N, etc. Survive: Actually thrifted two of these in two different thrifts store that are a block apart. One had all the island pieces the other had all the bits. 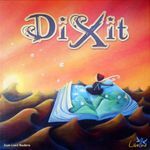 Dixit: Found it at a yardsale for a buck and used it in a math trade. King Oil: I have seen this thrifted a few times, never thought I would get one. 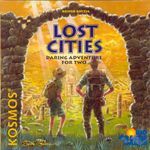 Lost Cities: Found this and traded it too. 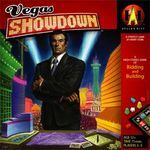 Vegas Showdown: One of my first thrifted games. Game was bagged and in great condition. Fun game. B&N finds: Alhambra, The Adventurers, Lords of Waterdeep, Star Trek: the card game. HeroQuest - An almost mint condition one to replace my old beat up player's copy. I actually found 2 of them but the 2nd one isn't quite as shiny. This is my favorite find as the reason the 1st copy is so bashed is I used to play it with my daughter & baby brother in their early teens. 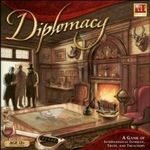 Diplomacy - This was the 1999 Avalon Hill lovely metal miniature edition & it's still sealed. I'm not interested in this game but I couldn't leave it there. I'll eventually trade or sell it. Vegas Showdown - opened but unpunched. This one is mainly for when my daughter & son-in-law visit. Mutant Chronicles: Siege of the Citadel - Again opened, punched partially & never played. Puerto Rico - Opened but unplayed. I used to have this but when I built the wonderful redesign I gave my original copy to my daughter so now I have this. 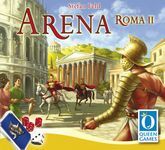 I will probably give this to my niece for Christmas as she's developing an interest in boardgaming. 1. The Lost World Jurassic Park Game: To this day, this is the Goodwill find that has seen the most play in my house. Few games in my collection bring out the tension as much as this one. With 4 dinos on the map, a T-Rex honing in on your home base, and time running out, you have to take chances with every roll of the dice. It's fun, quick, and always good for a laugh. The 3D terrain is cool, but I rarely pull it out. 2. Puerto Rico: Yes, this is a better game than my #1, but I've only gotten to play it a few times since I found it. This is probably the find I'm most proud of, however. At the time, it was ranked #1 on BGG. 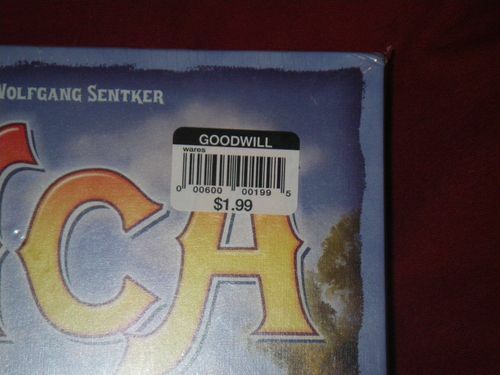 How often can you find the #1 ranked game in the whole entire world at Goodwill???? 3. Mint Condition Mini-Poker Chip Set: I was really excited to find this, as my gaming buddy didn't have any poker chips; I gave it to him as an engagement present. Too bad I can't do all my wedding gift shopping at Goodwill! (don't worry, my friend knows I'm cheap and knows even more that mini-poker chips are COOL). Hehe, I followed this up with a full-sized poker-chip set for his wedding (yes, AFTER I got a normal gift; guess which gift he uses more??). 4. Acquire: I've found many of these, but I really like this game, so I was glad to find it! 5. Can't Stop: I specifically held out on this game to find it at Goodwill. It showed up too many times in Thrift lists for me not to wait for it; patience paid off, and I have a copy I plan on keeping forever. 6. Old School Peg Hockey: My son and I play this one all the time. It's fast, easy to learn, and gives me satisfaction on par with Crokinole when I make a great shot. 7. Multiple copies of Sorry Sliders. I put them all together for mega games with extra long tracks. It's fun! Games I've found and sold to buy other games! Numerous Wargames I don't recall the names. You Grognards pay good money for this stuff, though! Get your finger out of my face! 1. I'll give my top spot to 12 Thieves. This was actually my very first euro thrift find and really one of the first I owned when I was just getting into the hobby. I was familiar with games like Catan and Carcassonne, so I had an inclination it might be good when I saw the various languages on the box and the cool wooden bits inside. My wife and I ended up really enjoying the game and it's still one I'm happy to pull out from time to time. Paid $1.99 at Goodwill. 2. 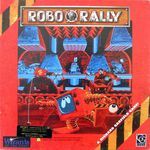 For this one I'll go with RoboRally. This was also early on so I was only vaguely familiar with Avalon Hill. I also remember almost missing this -- I had already checked the shelves and noticed this when quickly glancing over everything again before leaving. It looked mildly interesting and certainly worth $2.99, so I gave it a shot. Turned out to be a very big hit with my lunch gaming group. It's not among my personal favorites, but it's definitely one of my most played thrift games and I have some great memories from sessions of this. 3. Next I'll go with San Juan. 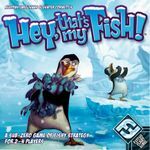 By this point I had spent some time on the BGG lists and was fairly familiar with many of the top games, and had even had a chance through local game groups to try several of them. This find was exciting because I'm fairly sure it was my first thrifted game from the top 100 (at least it was in the top 100 at the time). I think I paid $1.99 for it and the cards inside were still in shrink. My wife and I ended up enjoying this one quite a bit as well. I think we used to get notably more enjoyment out of individual games before I had such a hearty collection -- we just played the few we had. 4. Finding Puerto Rico was incredibly exciting because I knew it was one of the top ranked games on BGG. 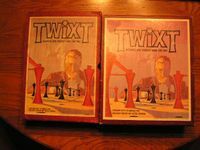 I was fairly active in the weekly BGG thrifts by this time and would often see people posting super high-ranked games. I had my fair share of good finds, but these big titles always seemed to evade me. So, I was obviously thrilled to see this in Savers during a quick lunchtime run, especially for a measly $.99. In fact, there had been a small rash of these popping up on the list the previous week or two and I remember thinking, "Man, how come I never find anything awesome like Puerto Rico?" As a tragic side note, as excited as I was to find this, my copy has sat on my shelf unplayed ever since. I guess the downside to getting this later into my gaming "career" is that it has a lot of other great games to compete with. 5. I'll give the final nod to Pandemic. This was a game that I became extremely interested in early on and was my thrift grail for months. I eventually thrifted a copy of Wings of War: Famous Aces which I ended up trading for Pandemic. A year or two later, I had gotten a friend of mine not only into the hobby, but also into thrifting for games. One day at a little no-name thrift shop near my office I saw the corner of this box buried under some typical junk and dug it out in amazement. I knew he wanted a copy as well so I text him something along the lines of "You are about to love me!" Even though I already owned it, it was still a thrill to finally get my grail. In fact, much of my thrifting by this point had become finding stuff I already owned and giving it to friends. The fact that this was still in shrink was a nice touch too. 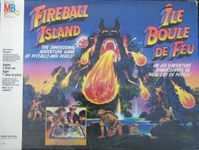 A mostly complete Fireball Island was a $2 buy from an SA that never has anything and proved to be a $126 sell. Exciting on both ends. Char was a very rare, obscure abstract in excellent condition at a small (now defunct) GW near me. Sold on BGG, I think for $60. 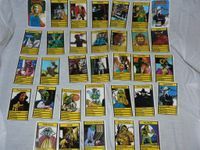 Gamma World Roleplaying Game was like new at that same defunct GW, with the pieces inside still in shrink. Was $4, I think, and traded in a BGG math trade. 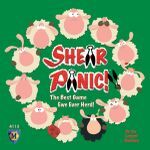 Shear Panic was unexpected and like new at the same defunct GW. For $4, I think. Still holding for math trading. Loopin' Louie was $2, complete and full-sized, from a run-down StVdP that never had anything worthwhile. Still own and still play—a lot. 1. 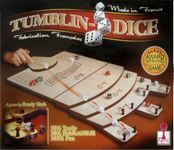 Full-Size Tumblin-Dice Had a lot of fun with this one, and the fact that it's really hard to trade for (nobody wants to ship it) makes it one of my most unexpected, and favorite, thrift finds. HeroQuest An early thrift find, and one that completely hooked me. Got it for $3, and it was complete, though the box was beat up. Jenga Just because the ridiculousness of it. Got the 'vintage edition' of this at an estate sale for $2, and sold it for over $90. Insane. Chess A Ganine Gothic chess set, I just got it last week. It's so pretty, I'm keeping it. Blokus Trigon I was selling this on ebay when the school shooting in Newtown, Connecticut had just happened. I got contacted by a woman who was working with the families of the victims; one of the siblings of a child who was killed wanted this game for Christmas, and I was one of only two sellers of it on ebay at the time. I said I'd be happy to close the auction and send it. Turned out I didn't have to - the only other seller had been contacted first, and agreed to send his copy. Star Wars: Epic Duels A major score, and one I found on a day when I was feeling crazy lucky. Guess I was right. Age of Conan: The Strategy Board Game for $2 at BN clearance. Cosmic Encounter the original, with all 9 expansions included for $60. Late bonus entry. Can't believe I didn't include this. A haul from a garage sale where I got over 30 games for $50, including: Risk: The Lord of the Rings Trilogy Edition, Stadium Checkers, Bermuda Triangle, Battle Cry!, Hotel Tycoon, and more. I've found 4 copies of this at various thrift stores. Kept one, traded one. gave 2 away. I found this a few years ago. Its a decent push your luck game. Another find from a few years ago. It was missing the dice, so my copy has some dice harvested from a copy of DICEcapades. I found this at the GoodWill in Richmond, Indiana, for $1.99. Well worth it. New in shrink. My best thrift store find ever. Nabbed this in Denver at Mile High Thrift for $1. Sold it around Christmas for just over $200. Picked this up at an estate sale across the street for $1. It had been selling for around $20. When I listed it mine was the only one for sale and there was a three way fight between a guy in Houston, a guy in Dallas and a guy in Saudi Arabia. Houston won for $163. I got all three of these crammed into two boxes at Bargain Thrift a few years back. 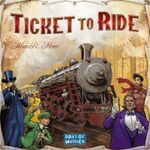 With no inventory and no rules I turned to the internet and BGG. 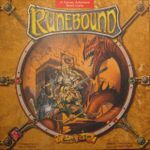 I tracked down a PDF of the rules and a fellow BGG'r helped me identify which parts I had and which games they went to. It took about two months but I got everything ID'd and sold off. Another $2 thrift find. When I started inventorying it, I discovered I had some player wheels that looked rather odd. Nobody on the geek knew anything about them, but a Yahoo group for the game ID'd them as a rare 'advanced' version of the game that the designer never got off the ground. I had an incomplete set but sold them for around $80 to a guy in the Yahoo group. My mom wanted to go thrifting and the first store we hit produced this little gem. I almost didn't grab it because the box was the wrong size but once I examined it my jaw dropped open. I never knew this existed. I thrift a lot of games for a lot of reasons: reselling, collecting, virtual thumbs. Not enough of my thrifted games actually get played by me. These are my top 5 thrifts that I actually play (or plan to). 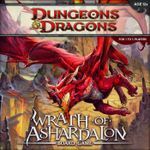 Dungeons & Dragons: Wrath of Ashardalon-Amazed to find this. Haven't played yet because we're still working through Castle Ravenloft but I imagine we'll enjoy just as much. Bohnanza-Played this the first time about a week ago. Absolutely loved it. Sherlock Holmes Consulting Detective-Found this one very early in my thrifting career. Actually considered leaving it because it seemed a little weird. Glad I didn't. Still need to finish up a few more cases. Aquaretto-Haven't played this in too long but its fun when it hits the table. Ambush would probably be my greatest thrifted game ever, at 90 cents. I also have to include Bermuda Triangle, which turned out to be my wife's favorite game, and still is after all these years. Honorble mention goes to the 5 copies of Battleball I've found. I always gaze upon American thrifts with a mix of awe and disappointment. The UK rarely holds such gems for a charity shop regular. However, there are a number of quality games that can be found and I have managed to find a decent percentage of them. Good old two player abstract with lovely plastic pieces. The classic old copy with the huge plastic bits and sinister swirly board art. Finding a complete Subbuteo with no broken players is rare so well worth grabbing back a game from my childhood. The co-op game that I already had but still felt great excitement when I saw it looking lonely on the shelf of a local charity shop. Opened but unpunched, unplayed and a bargain at £2. A game of legitimately decent quality. 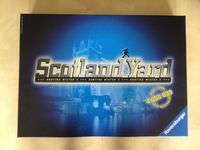 A classic game of cat and mouse across London as Mr.X tries to evade the police. It's been done with vampires and nuns among others, but for me, the original still has the most charm. As a bonus, I've also managed to pick up the rarer N.Y. Chase. I explained to my daughter the other day that shopping in thrift/charity shops is like 'reverse shopping' in that you can make money rather than spend it. All the interesting stuff is in secondhand shops anyway. There are a couple of problems with UK Charity shops; the biggest being that they are often staffed by aged christian ladies who would rather bin a game that looks slightly 'fantasy' than put it on the shelves. The second is Mid-life Crisis. -Bought and sold for a tidy profit a couple of months ago. Paying for me to go NineWorlds next year. -Pink box, this was more than 10 years ago now. Hated it then and still do. -Kept it for many years, under-rated game that nearly works really well but not quite. Probably the most 'useful' game I've ever found, although I played Firepower a few times and I still have Qwirkle, both of which came out of charity shops. -Purchase price: £0.50. eBay sale price: £40. Oh my word, the profit these things turn. I've had a couple of sets over the years but this one was the best. My wife was aghast at the money I made on them and called me a Ferengi, a nickname she still uses when I emerge from a charity shop wearing a grin. There was a load of first edition books stacked up on a bottom shelf of a shop that sold books that were more collectible than secondhand if you know what I mean. I knew one of these titles was worth something and talked with my wife about it, obliquely, as it was a small shop and the guy at the counter could see and hear me. My wife knows me well enough to trust me on this sort of thing and suggested searching on her (then, very new) smartphone for it. Cthulhu and Elric Mythos...check! No 'thank you' to Chaosium on page 2...check! Priced at £3. We get to the till and I'm all for giving the guy a fiver for it, when he smirks at us and says something like: "If you looks after that it might be worth nearly £4 in a few years." I got £2 change and smiled politely. Escape from Atlantis (Waddingtons). I've had a few sets of this and pieced them together for friends and to make my own set fresher. I found San Marco at a thrift for $1.50 and have certainly gotten my moneys' worth out of this game. Everyone who has played it has liked it. 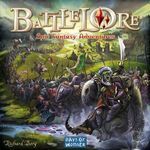 BattleLore is also list worthy though I paid $60 for it. Did I mention that it also included 3 expansions all unused and 2 were still sealed? I doubt it was ever played. Thrifted HeroQuest recently for $3 along with another expansion, unpunched, for $3 too! Thrifted TTR for $3. It looked as if it had been played once then donated. Likely from a non-gamer. Found Dragon Pass for $3, unpunched, on the same day I found Rise and Decline of the Third Reich and Talisman with 3 expansions in the box, both for $3 each! 1. Probably has to be Roma. It's a great 2 player game, just one I don't get to play enough. 2. Cranium - Not that I love it or that it is my favorite, but I'm just glad to have it and Cranium Pop 5 in my collection...if they are needed. 3. Dilbert: Corporate Shuffle This is one I can't decide on whether I want to keep it or sell/trade it. 4 and 5. Battleball and Loot - I needed to fill out the list so might as well include these. Hoping for a nice find one day to fill out the list more, but for now this is what I have picked up. Maybe I'll check again today. Curse your sudden but inevitable action denial! Hard to say. Some finds are nice just because they're neat games, some are fun oddities, some I get quite a bit of play out of. Some are valuable... anyway here are 5 I consider notable. 1.) Dark Tower -- $1.95 pickup incomplete but working tower, sell for $190.00 on eBay. 2.) Survive: Escape from Atlantis! -- $1 pickup, complete. Just a great game that I've had some great times with. 3.) A House Divided -- Shocked to find a nice Phalanx edition in great condition for $2.50 or so, on top of Axis & Allies: Battle of the Bulge also for $2.50. 4.) Mutant Chronicles: Siege of the Citadel -- Got several great plays out of my incomplete $3.95 copy before selling it for a nice $35. 5.) Puerto Rico -- $3.95 nice & complete, made a good gift for a friend who was looking for a copy. Tending the garden of my soul . . .
My top 5 is Loopin' Louie times 5. November, 2010 - - I find a cache of BRAND NEW 1992 Loopin' Louies at a liquidator. I bought a copy for myself, and 4 for Christmas gifts. The folks that got the Louies were THRILLED. Got my top 10 on my profile but will try to narrow it down to 5. 1/ Descent: Journeys in the Dark got to be my fave, found for £6.50 early in my thrift career. How anyone can look in this box and decide this is worth £6.50 is beyond me. 2/ City of Chaos for £2. won me find of the week on the thrift list, so got to be worth a mention. 3/ Titan Legions old GW epic style goodness found two of these over the course of a couple of months, total cost £12 sold for £110 after having a good geek out over the miniatures. 4/ Dominion recently found for £2.99. Always held of buying this as can usually find a game to play if wanted. Held out for a thrift copy and got one, yay. 5/ Ghost Stories Another keeper £3, wanted to try this and the thrift provides, still haven't beet it though. Lots of others pushing to be included. Settlers, El Grande, multiple Heroquests, Dungeonquest plus all expansions etc. my finds are marked on my collection if you fancy checking what four years of reasonably obsessive thrifting will get you. though I have deleated the sold or traded games. Fun find even though I never played it before I sold it. Definitely got my money's worth out of this one. 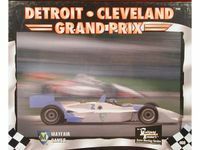 In shrink and I sold it for $60.00. Yay! This was just fun to find since it was opened and scattered by children. I found every component and got it back together. The plastic heads are just too cool.